From the team behind ‘No Blood No Tears’ and ‘City of Violence’ comes the action comedy, ‘Arahan’. An entertaining if not wholly satisfying combination of laughs and fights, ‘Arahan’ follows a well worn path but manages to deliver on both the comedy and combat. Ryoo Sueng-bum (‘Sympathy for Mr. Vengeance’) stars as bumbling traffic cop, Sang-Hwan. While attempting to apprehend a purse thief he is accidentally hit by a palm blast delivered by the beautiful, Eui-jin (Yun Soy), who was also trying to catch the thief. Knocking him out, the blast opens up his inner chi, a force that can unleash all manner of powers including levitation and advanced martial arts skills. Eui-jin takes him to the care of the Seven Masters, a group of teachers who also happen to be training Eui-jin in the ways of chi and kung fu. Realizing, Sang-Hwan has incredible power locked inside, the Seven Masters eventually convince him to take up training in the art of martial so he can release his inner chi. Meanwhile, a former foe (Jeong Doo-hong) of the Seven Masters has resurfaced in the city, taking the masters out, on by one. It’s now up to Sang-Hwan and Eui-jin to put their training to the test and stop this deadly for from destroying them all, once and for all. 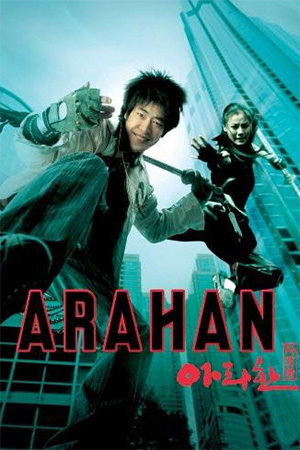 Beginning in grand fashion, ‘Arahan’ kicks off with the Seven Masters cheekily having a shot at old kung fu movies where the hero must undergo ridiculous amounts of training to become a fight before segueing into Eu-jin running up and down skyscrapers trying to catch said thief. A quiet, fun moment followed by eye-popping visual effects and stunts a balance ‘Arahan’ manages to keep up for most of its running time. 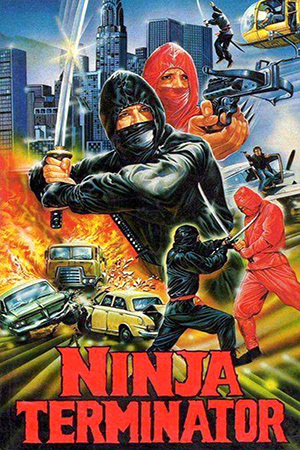 The trailers certainly played up the whole CGI, leaping over buildings element but the film also offers some well delivered comedy and ground based martial arts scenes. The cast, especially Ryoo Sueng-bum (an energetic force here), perform well, easily switching from comedy, to drama, to action. If there is a downside, it’s that the tone varies too often, going from broad comedy to occasionally stark violence within a scene. At almost two hours the film is perhaps a good ten, or fifteen, minutes too long as well. The training and comedy elements are maybe stretched out longer than is necessary and Jeong Doo-hong’s bad guy does feel a little shoe horned in to provide the main cast somebody to fight with at the end. And the fighting? Well, we have to wait almost an hour before any actually occurs, though it could be argued it’s worth the wait. 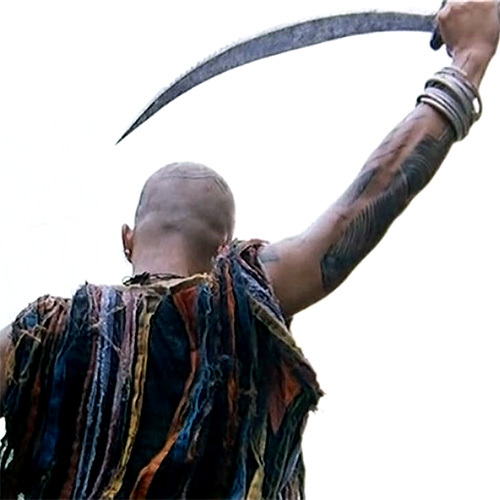 While CGI and wirework are used throughout the film, it no way dominates the fight scenes. ‘Arahan’ isn’t a ‘Stormriders’ or ‘Avenging Fist’ CGI-fest, rather it uses the technique to enhance the super fighting abilities of the characters. And while they can jump and spin through the air and make water leap up in great bounds, the one-on-one combat is full contact and skilfully handled. 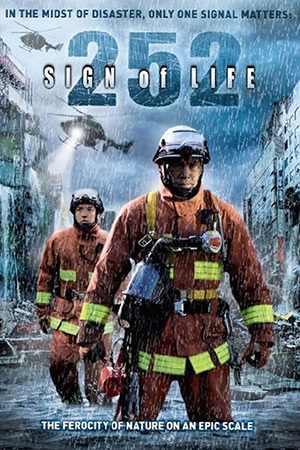 Director Ryoo Seung-wan and martial arts coordinator and co-star, Jeong Doo-hong, bring their trademark bare knuckle choreography to a series of fights that dominate the second half. Rough and tumble moves go side by side with flights of fancy as the characters kick the living hell out of one another. 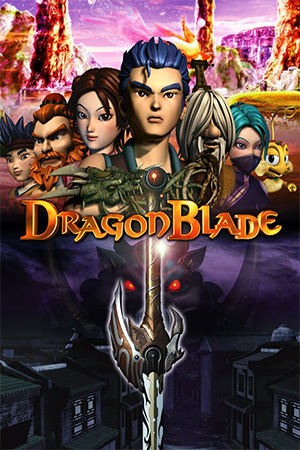 The end fight set in a museum is an exhilarating, extended three-way duel that features as much skilful swordplay as it does hand to hand combat. Yet the best fight is Sang-Hwan taking on a bunch of goons in a restaurant, realising his powers and skill for the first time. Brutal and blistering, the fights are heightened by the cast doing most of the moves themselves, with doubling kept to a bare minimum. What lets ‘Arahan’ down somewhat is its sense of over familiarity and meandering pace. The story is nothing new or revolutionary and takes just a little too long to get where it is going. Still, the film is made with skill and the comedy often hits home just as much as the fights do. It’s also refreshing to see Ryoo Seung-wan and Jeong Doo-hong bringing their considerable skill and craft to a more laidback, fun style film after the adult and bone breaking nature of say ‘No Blood No Tears’ and ‘City of Violence’. Despite its weaknesses, ‘Arahan’ is still a lot of fun and recommended to those who like their kung fu with a dash of special effects and a good helping of comedy.